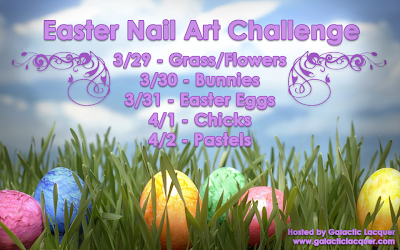 Today wraps up this year's Easter nail art challenge! I've had a lot of fun doing all of these colorful spring designs. I also love pastel colors, so today's theme is a good way to wrap it all up for me. I tried to do somewhat of a pastel gradient. I haven't tried a gradient with such different colors before, so they didn't blend too well. But it's pastel colors and it's colorful, so I like it! I used three colors from the China Glaze Avant Garden collection. I started by painting all of my nails with two coats of Keep Calm, Paint On. I then took a makeup sponge and sponged Fade Into Hue around the center of the nail. I finished it by sponging Pink-ie Promise around the tips and trying to lightly fade it into Fade Into Hue. I didn't wait for the purple to dry before sponging the pink on, which I think actually helped them blend together better. I then finished it all off with a coat of Seche Vite to make it smooth and glossy. These nails are making me think that I need to try some sponge gradients more often! As always, you're welcome to join in on the challenge! 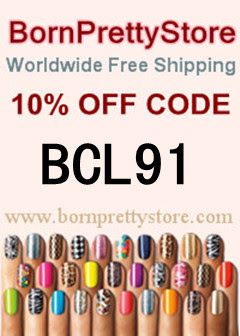 Feel free to share your nails with me on my Facebook wall. There are lots of great bloggers participating in this challenge too!